Entrepreneurship is not a sprint, it’s a marathon. 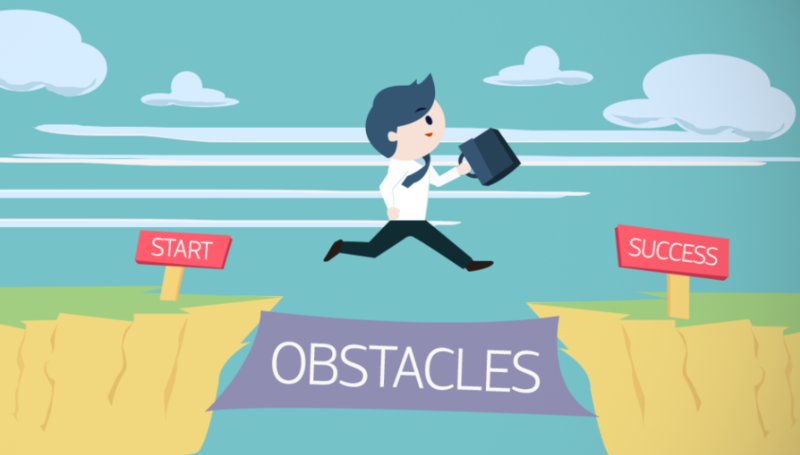 Successful entrepreneurs don’t have the expectation of “finishing,” but they understand that it is all about overcoming the next obstacle that presents itself. If you do have the expectation of “finishing,” you won’t continue to push yourself to step outside of your comfort zone enough to grow. Entrepreneurship is like an escalator going down, and you are standing still, observing all the way, as opposed to sprinting right to the bottom. As an entrepreneur, you must keep seeking out the things that truly help your business achieve explosive results, and discovering all those things requires you to stretch yourself beyond your comfort zone. Becoming a successful entrepreneur means understanding that hard times are when you need to push forward the most. You will have times of unbelievable joy, as well as more than a few setbacks. During the times of joy, you may feel like you can take over the world. It can give you the strength and motivation to continue to put in the long hours that are required to grow your business. During the hard times, negative feelings and emotions can easily take over, and before you know it, you’re feeling sorry for yourself, and things start getting dark very rapidly. This kind of funk is something you must snap out of quickly, or it will take you down. As an entrepreneur, you are at the top, so there are few people to turn to except other entrepreneurs and mentors. Even though it can be extremely difficult to pull through the hard times, it is possible. I want to share with you a few things that I’ve done to help myself during the down times. 1. Overcoming Problems – The only way to get through obstacles is to start by acknowledging that they exist. Your thoughts act as the gateway to your feelings and emotions. There is a very wise Buddhist notion about how what you think about and focus on is what you’ll attract more of into your life. If you believe you are failing, then you will, and it’s over. When you’re dealing with obstacles, your thoughts focus on what you can’t control and why that situation is happening to you. Instead of falling into that negative, cyclical thought process, give yourself a few minutes and take control of your thoughts. Focus on what brings you joy and what you’re grateful for in your life. It’s hard to be down when you’re expressing gratitude. It will amaze you how the right solutions come into fruition when you focus your mind on positive and creative solutions. 2. Embrace Change – Growing a business is not easy, or the world would consist of more than just 3% of entrepreneurs. Life is messy, and change can be uncomfortable, yet change is absolutely essential for entrepreneurs. There are always going to be things you can’t, and shouldn’t, try to control. There are, however, things that pop up that you can do something about, and situations that you can exercise some control over. For example, if your marketing plan no longer works, adjust it, and if sales are down, go back to what worked and make small adjustments. Or, if an employee is causing more trouble than he/she is worth, remove them immediately before they influence the others. Create a plan that will help you get on the path to recovery. There are things you can fix in your business no matter what is happening. First, identify what the problem is, then, do something about it. Focus on results. 3. Get a Mentor – Some obstacles feel like they are more than you can handle. Seeking counsel and support can be the difference between getting through crises or failing. Don’t try to be the super hero—seek help! One of the best things you can do is make decisions that help you recover, and seeking help is one of those decisions. Talking and planning with someone who understands your situation and has experience making it through a crisis is indispensable. 4. Make an Action Plan – Make decisions that are action-based. If you are contemplating a decision that will push you toward an action to help your business, make the decision! I’ve found that one of the best ways to recover from difficult situations is to take massive, laser-like action. Taking action regarding the things you can control will give you progress, confidence, and results. As you consistently take action, you’ll be closer to your goal before you know it. I’ve found that obstacles always become my most productive learning moments, and they don’t have to be business breakers. I have learned from each failure, and have used them to make myself a stronger and wiser entrepreneur. I’ve seen how the most successful entrepreneurs understand that it’s not the crisis or failure, but the response to that crisis or failure, that determines how successful you’ll be. Stay strong, process your thoughts, create a plan, and then take action. It will get you through a crisis every time! This entry was posted in Business, Business Strategy, Education, Entrepreneurship, Innovation, Marketing, New Product Development, Start Ups. Bookmark the permalink.